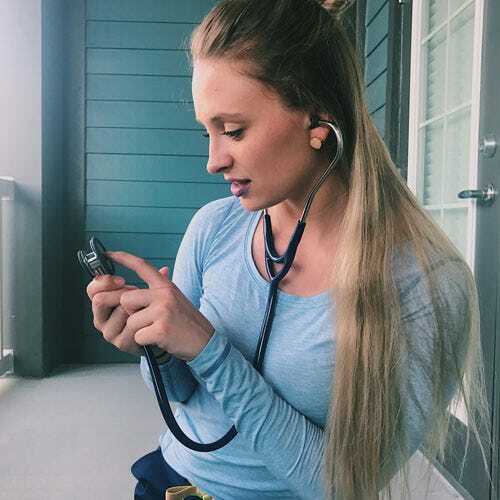 If you are a medical professional or students in the United States, chances are good that you are using a Littmann stethoscope. 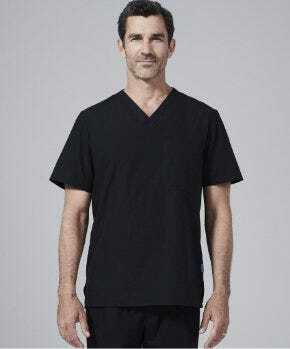 Littmann is pretty well known in the US for their stethoscopes, and understandably many people are hesitant to try a new stethoscope brand they haven't heard of. However, this past summer Medelita reached out to me to try out their new ERKA stethoscopes. ERKA is a German company that has been around since 1889 (much older than most leading brands!) perfecting their stethoscopes. 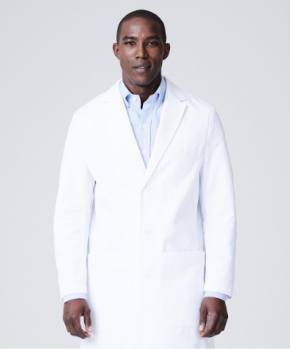 Medelita is the authorized US retailer of ERKA, and they carry three versions of the ERKA stethoscopes. They kindly sent me a Finesse model as well as a Precise to check out! I actually really love the Finesse, but my school requires us to have a stethoscope model that is either Littmann Cardiology III or better, which makes the ERKA Precise the perfect model. I use the Precise on a regular basis, as it is considered to be an equivalent. The specific description states that the Precise stethoscope is “Ideal for anesthesiologists, cardiologists, emergency physicians, paramedics, family physicians, internists, physician assistants, medical students, nurse, anesthetists/caregivers, and specialists in respiratory diseases.” I am a medical student currently, and I (hopefully!) will be a physician by May 2019, so the ERKA Precise was definitely the right choice for me! 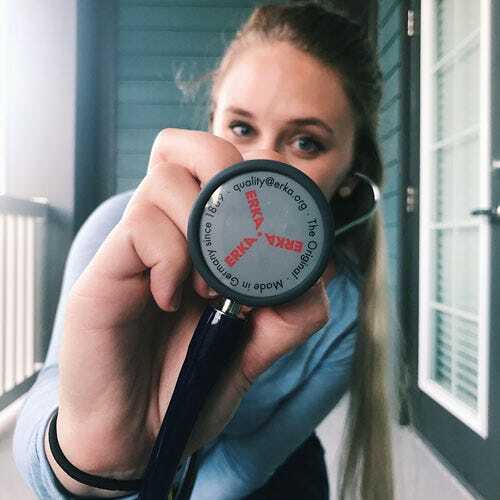 In this blog post, I am breaking down my experience with the ERKA Precise so that you can use my personal experience to go off of when looking into your next stethoscope purchase. 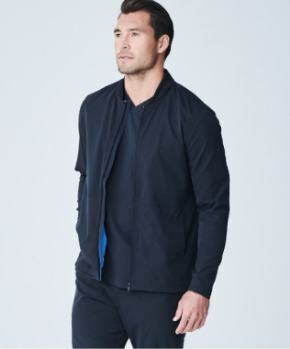 Okay, first let’s talk about technical specifics. Prior to finding out about ERKA, I had never actually learned about the mechanics myself. I just assumed that my Littmann was the best and went on with life! Once I heard of ERKA, I started to read up on the inner workings of a stethoscope. The difference in sound quality comes from the way the diaphragm is made, as well as how the tubing is attached. The ERKA Precise uses a floating dual frequency diaphragm to allow a wide range of high and low pitched sounds to be auscultated. The other side has a bell to use for low pitched sounds, and it is rimmed with a rubber lip to prevent placing cold metal on your patients. A couple other things that I noticed and appreciated about the ERKA Precise were the length and weight. It feels very sturdy, but is pretty evenly weighted between both sides so it doesn’t bother me to have around my neck all day. It’s a little longer than my other stethoscopes too, which is nice because I don’t particularly love being super close to patients when I’m having them inhale and exhale repeatedly! Additionally, more details that I really appreciated were the two different interchangeable ear piece sizes (I switched out to the smaller ones myself) and that the material is latex free and dermatologically safe. I have a slight latex allergy and generally sensitive skin, so I don’t have to worry at all about having this on my skin behind my neck all day. 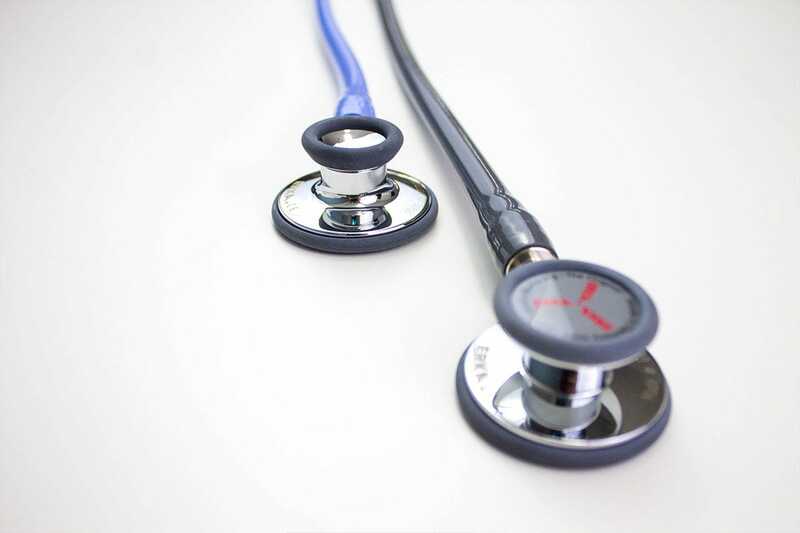 The designers of the ERKA Precise not only made it with excellent technology, but they paid close attention to details that make this stethoscope functional and aesthetically pleasing. The ERKA Precise comes in 13 different colors. 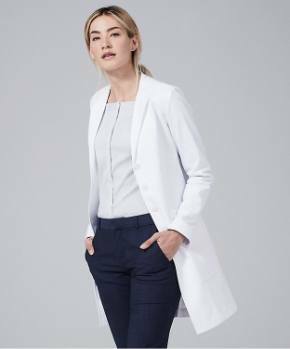 It includes traditional colors like black, grey, and navy, but also there are some bright shades for those of you who like having fun, colorful stethoscopes! One consideration point is that I personally think the colors look a little more cool-toned and subdued than the images online show. For example, my friend has the violet ERKA and it is a more blue-toned shade in person than it appears online. 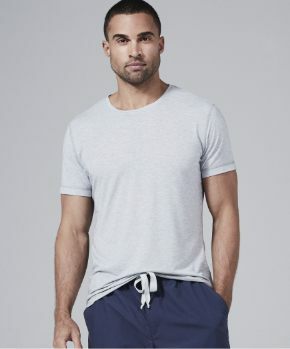 I own both the navy and the light grey, and both of them are a nice alternative to black without standing out too much. I am going to be quite honest and say that I am not even close to being an expert with a stethoscope! I am a third year medical student, so I have only been regularly using my stethoscope for about 6 months now. I’m just now starting to differentiate lung sounds and figure out how to pick up heart murmurs. When I was on my in-hospital internal medicine rotation, I got the most experience listening to heart and lung sounds. We had a patient with chronic atrial fibrillation, a baby with a loud ventricular septal defect, and lots of patients with other murmurs. 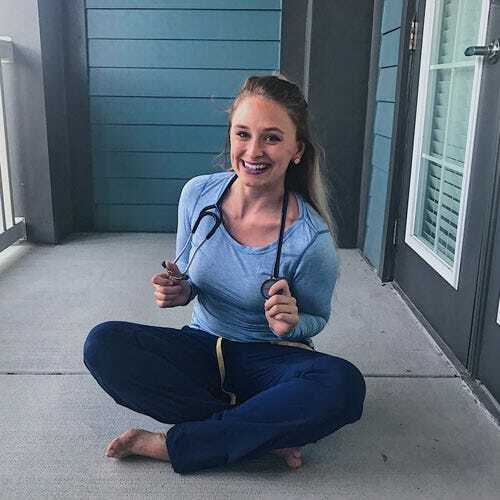 That month was when I transitioned to using my ERKA, because I discovered that I heard the sounds my doctors told me about louder with the ERKA than with my Littmann Cardiology IV! I even lent my ERKA Precise to my chief resident for a few patients, and he was very impressed by the quality and said it was definitely at least as good as the Littmann I had been using. Additionally, I convinced another one of my resident physicians to transition from his Littmann to an ERKA because he also felt like he could hear heart sounds better. So, while I am no expert in listening to heart and lung sounds, I was able to hear the sounds I was learning about better with my ERKA, plus both of my resident doctors confirmed the excellent quality! I really do love my ERKA stethoscopes, both the Precise and the Finesse! For whatever reason, I actually like my Littmann Cardiology III better than the IV, so I would take the ERKA Precise over the Littmann Cardiology IV any day. While I like my Littamnn Cardiology III just as much as my ERKA Precise, baby med student Tiffany bought it in bright pink (ha!) so I don’t like wearing it as much as my light grey Precise! All this being said, the ERKA stethoscopes are of either equivalent or better quality than Littmann, but are a much better value. I highly recommend picking one up when you’re ready for your next stethoscope! Tiffany Sinclair is a medical student who hopes to pursue a career in Emergency Medicine. Tiffany discovered her love for medicine during college, when she started learning about sports medicine through her athletic endeavors. 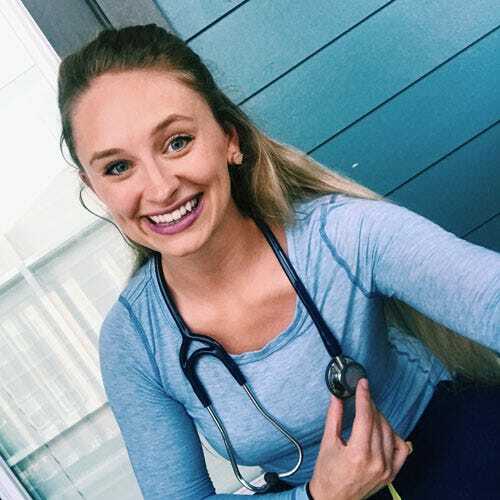 This unique experience is what led her to pursue the medical path. Follow Tiffany on Instagram!